When it comes to microSD cards, some Android users won't give theirs up unless they're pried from their cold, dead hands. 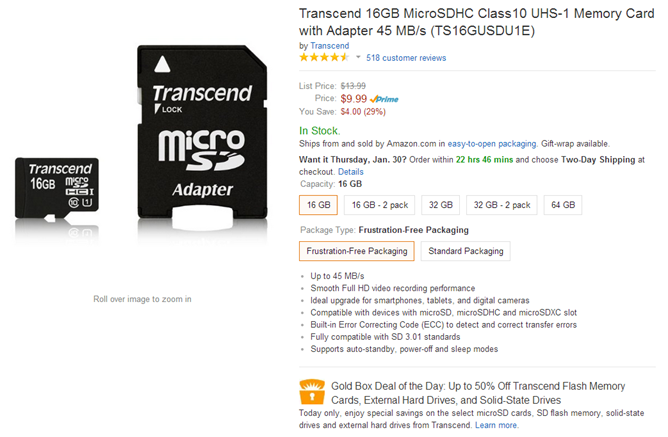 Amazon hears you, so the company is offering up to 50% off Transcend flash memory cards as part of today's Gold Box Deal of the Day. 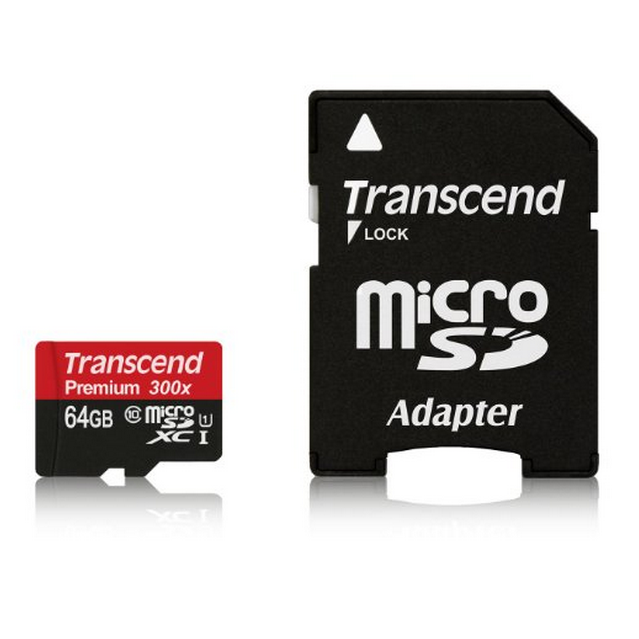 This reduces 32GB cards down to just $16.99, with larger 64GB cards making the drop to $37.99. A small 16GB card, on the other hand, will only cost you $9.99. These prices are slightly cheaper than the last time this sale came around. Regular SD cards are also on sale for the same prices, though they are only useful for a limited number of Android devices. Even less useful for most Android users is the 1TB external hard drive reduced to $67.99. But if you have something other than a mobile device in mind, be sure to check out the reduced 128GB and 256GB solid-state drives. They could potentially make someone's rig very happy.